Peace talks aimed at ending the war in Yemen have been set for early December in Sweden, between Houthi rebels and the UN-recognized government, US Defense Secretary Jim Mattis said Wednesday. He said the Saudis and United Arab Emirates — who have militarily backed President Abedrabbo Mansour Hadi in the brutal three-year-old war — “are fully on board, by the way. Last month Mattis made a surprise call for a ceasefire in Yemen and urged warring parties to enter negotiations within the next 30 days. The United Nations has now pushed that deadline back to the end of the year. It also comes a day after US President Donald Trump vowed to stick with Saudi Arabia as an ally despite the gruesome murder of journalist Jamal Khashoggi at the Saudi consulate in Istanbul October 2. The CIA has reportedly concluded that the murder was ordered by Saudi Crown Prince Mohammed bin Salman, but Trump chose to overlook that in favor of the larger relationship with the kingdom. “On the Khashoggi affair, presidents don’t often get the freedom to work with unblemished partners in all things,” Mattis said. “If you want to end the war you’re going to deal with Saudi. You can’t say I’m not going to deal with them,” he said. 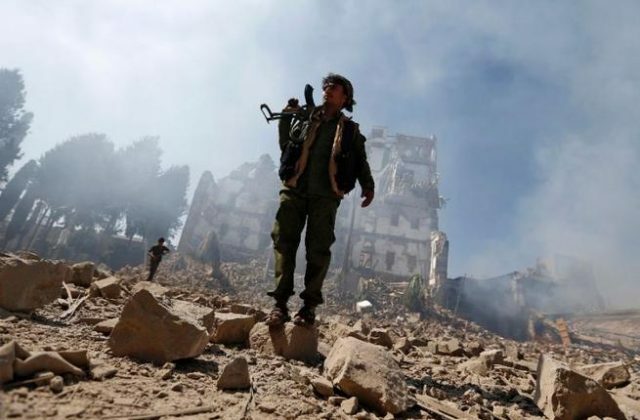 The Houthis failed to show up to peace talks in Switzerland in September, leading to the collapse of that effort to end the fighting. They have said repeatedly that they need stronger security guarantees from the international community that they will be given safe passage through the crippling air and sea blockade the coalition has enforced since March 2015.